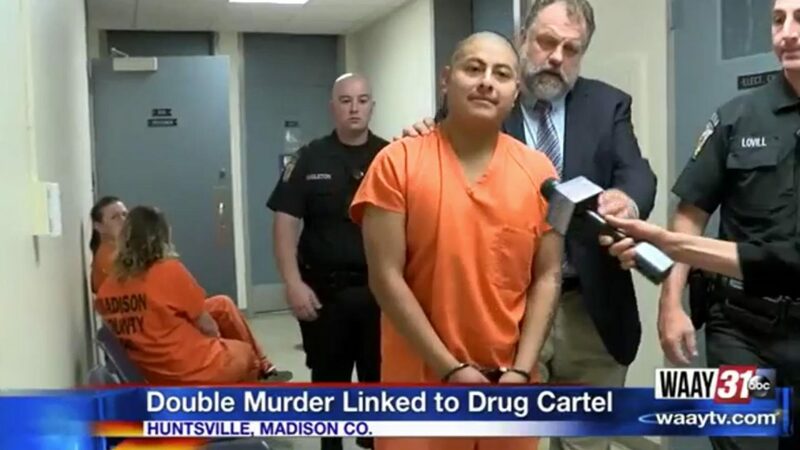 Two men loosely associated with a brutal Mexican cartel, one of whom is an illegal immigrant, are responsible for beheading a 13-year-old girl with special needs and murdering her grandmother, Alabama law enforcement allege. Authorities say Yoni Aguilar and Israel Gonzalez Palomino murdered Oralia Mendoza and her granddaughter, Mariah Lopez, because they didn’t trust Mendoza after she exhibited suspicious activity during a recent drug running trip to a small town in northeast Atlanta. Authorities say the group ran drugs for the Sinaloa Cartel, the largest organized crime syndicate in the world. Police say it was Mendoza who had deep connections to the cartel. According to AL.com, authorities believe something went wrong during their trip, spurring Palomino to believe he was being setup. Upon returning to Huntsville, Palomino discovered Mendoza had removed the SIM card from her cellphone. He also discovered text messages to an unknown woman during the drug run. Police say Mendoza texted a woman asking her to secure Lopez, who was staying with Palomino’s wife, because she feared for their lives, WAAY-TV reported. After discovering the messages, Aguilar and Palomino allegedly awoke Mendoza in the middle of the night on June 4. They told her they were taking her and Lopez to a safe location. Instead, the two men took their captives to a cemetery. Police say there was an altercation between Palomino and Mendoza. After it escalated, police say Palomino pulled a knife and stabbed Mendoza, leaving her to die in the cemetery. The men then drove about 2 miles down the road, where police say Palomino forced Aguilar to kill Lopez by beheading her. Law enforcement said Palomino decided Lopez needed to die because she was a witness to her grandmother’s murder. Police began investigating the murders on June 7 after a local boy discovered Lopez’s body. After police released a description of the girl, a woman came forward claiming to be Lopez’s mother and Mendoza’s daughter, AL.com reported. Authorities were then able to positively identify Lopez’s body. After Lopez was identified, Aguilar and Palomino were quickly identified as suspects. Police took the men into custody, and after being interviewed separately, investigators gathered enough evidence to charge them with Lopez’s murder. According to AL.com, Aguilar confessed to the crimes, which helped investigators finally locate Mendoza’s body at the cemetery on June 15. Police have charged the men with capital murder. They are being held without bond. What evidence do investigators have against the men? In addition to Aguilar’s confession, which he again made in court last Thursday, authorities have a wealth of physical evidence against the two men. Aguilar and Palomino’s cellphones pinged in the area during the time of the killings, Rutherford testified. Investigators also recovered two knives, believed to be the murder weapons. One was found under Aguilar’s mattress; the other was under Palomino’s mattress, Rutherford told the judge. Additionally, blood was found inside Palomino’s car, the investigator testified. What are the suspect’s immigration statuses? Authorities said Aguilar is an illegal immigrant, while Palomino is in the U.S. on a green card, according to WAAY. Immigration and Customs Enforcement told the Atlanta Constitution-Journal they had placed a detainer on Aguilar.